1417 Boyle St. after demolition. 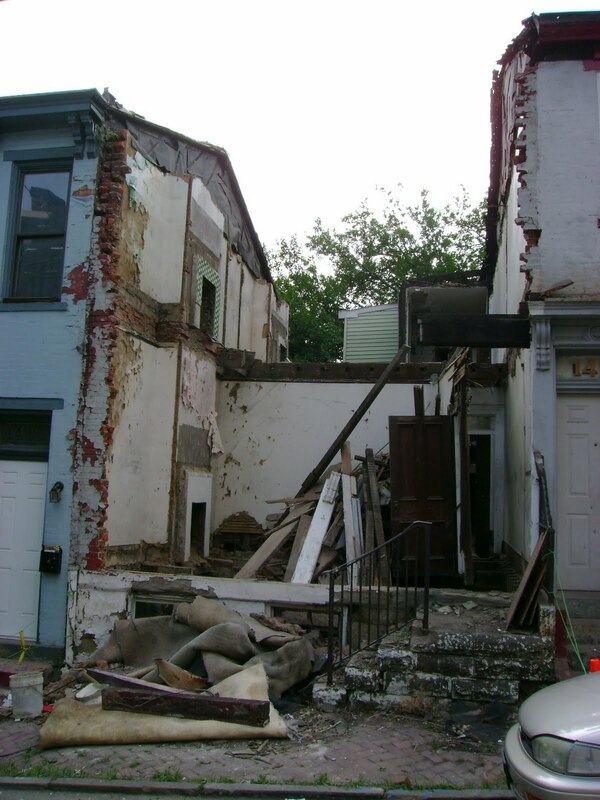 Streetscape after demolition. What an improvement? 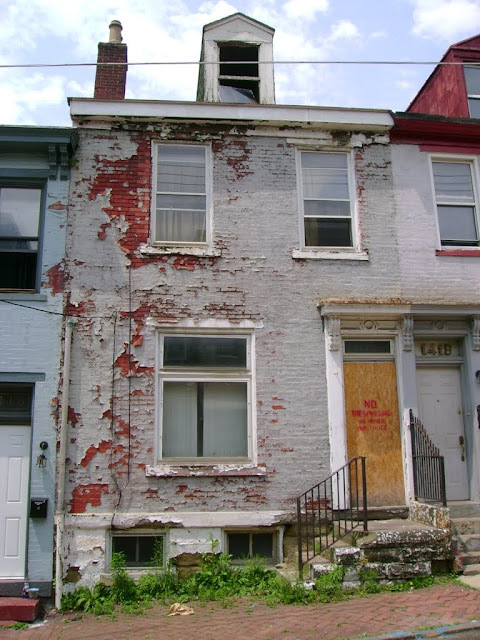 This is a follow-up to my recent coverage of the City of Pittsburgh's plans to demolish three historic homes on Boyle Street in the Central North Side. As I was working on my upcoming Historic Mansions Photo Tour today, I decided to swing by Boyle St. and see if there was any activity. 1417 Boyle Street has been demolished. I have taken before and after pictures. I hope the city is proud of this. Apparently, no historic district in the city of Pittsburgh is complete without holes punched into the 19th century streetscape. Two or three similar row-houses on Boyle St., just across the street from where the city is demolishing houses, have been completely restored (they were in worse shape when they were put on the market last year). It's a shame that the city did not have the foresight to market the properties on its demolition list to preservation-minded buyers. After all, the Central North Side is rapidly gentrifying. UPDATE (Aug. 7, 2011): 1413 and 1423 Boyle St. have been saved from demolition, but need new owners! Apparently the destruction of 1417 Boyle woke somebody up. I was told that a stay had been put on the demolition of 1413 and 1423 Boyle after a bidder expressed interest to the city. Why did it take a house being torn down for any parties interested in and sufficiently equipped to buy the houses to become aware of their imminent destruction? And the follow up to that question - how can we publicize this information more effectively in order to protect our neighborhoods from our city officials' questionable intentions? The city has been demolishing abandoned buildings right and left, which is a careless attitude to take. Obviously, the city considers these properties worthless, and does not recognize (1) that properties in the Central North Side have improved in value so much that many people may be interested in renovating abandoned homes there, and (2) the historic or architectural value of properties on its demolition list. 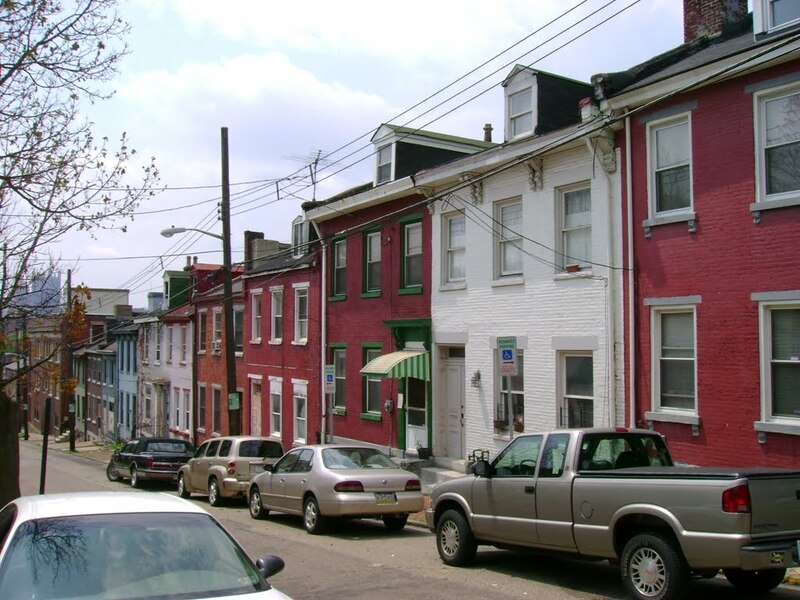 I propose that the city should make efforts to market to buyers, perhaps on its City of Pittsburgh Real Estate Site, the salvageable abandoned buildings it intends to demolish well before they are destroyed. Currently, the city does market abandoned buildings on that site, but for some reason these potentially valuable historic homes on Boyle were not made available for purchase. 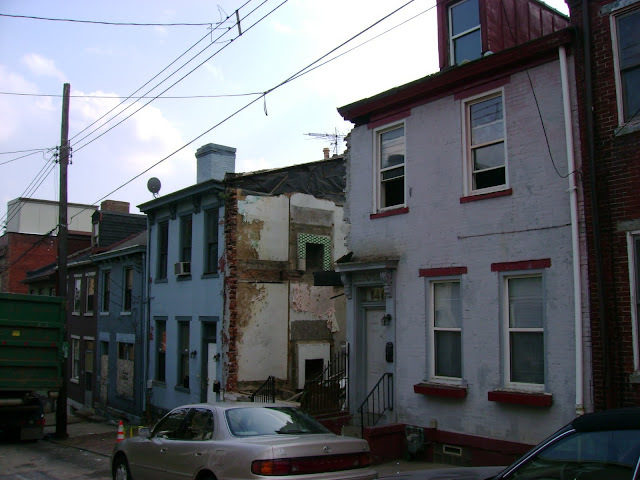 If you look at the city's demolition lists, there are many, many properties that are demolished without being marketed, most in disinvested neighborhoods. Again, it must not have occurred to the city that certain neighborhoods are making a recovery! Marketing to buyers is certainly cheaper than tearing down! And another thing.. I had called the City of Pittsburgh Dept. of Real Estate, when I noticed these homes on the demolition list. I was told that, "You have to buy those houses from their actual owners, not the city." Which sounds extremely fishy to me..
At least there is a bittersweet ending to this mess, but I worry about the future city demolition lists. The big issue is if the liens are greater than the value of the home in "As-Is" condition. This is the number one reason houses won't sell. And the lien holders (City taxes and Water/Sewer) won't discount. When demolished, the get zero. So it's a principal issue between city and owners.